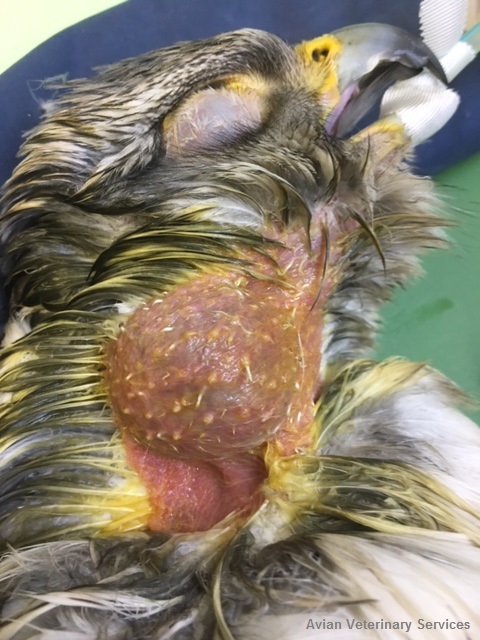 A stunning Jerkin (male Gyr falcon) presented to the clinic recently with a rapidly growing ‘lump’ on the side of his neck. 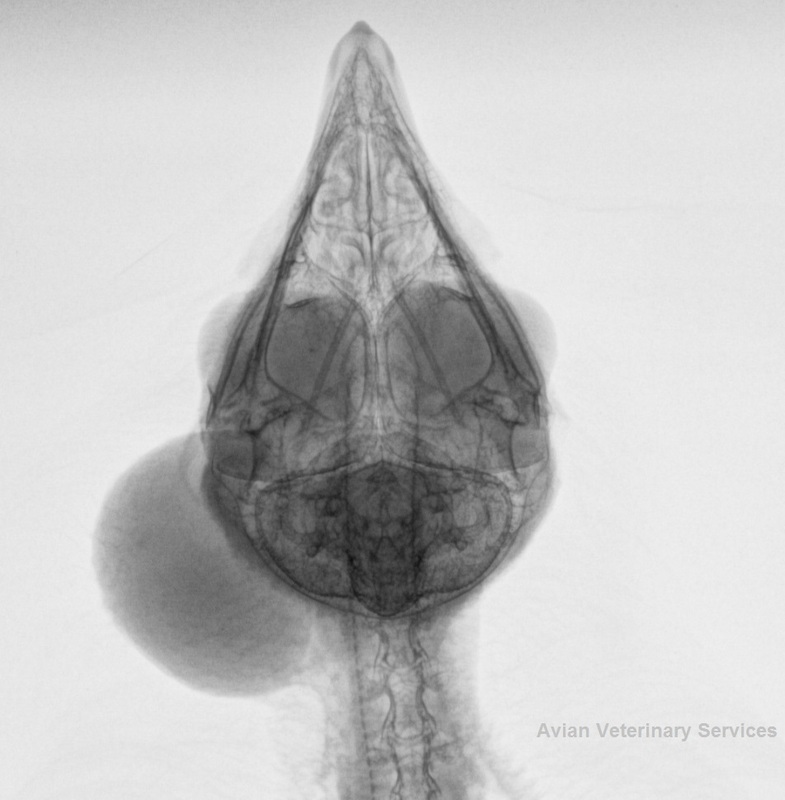 A fine needle aspirate of the mass demonstrated some concerning, possibly cancerous cells with x-rays indicating the mass was getting very close to the exceedingly delicate structures of the neck including the hyoid (very fine bones that support and control the tongue and wind pipe), crop and jaw. Based on the above we scheduled him in for surgery the following week. 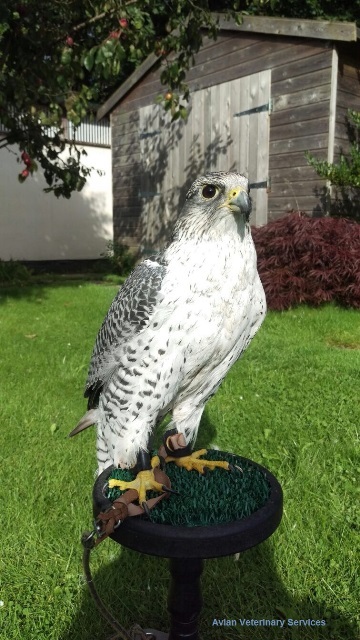 As a breeding bird, he did not wear any of the traditional falconry equipment, so he arrived in the back of his owner’s vehicle in a sturdy plastic pet carrier, the likes of which are commonly used for transporting birds, even on long distance flights and is the norm for such ‘non-tame’ breeding falcons. I was aware of his arrival through the waiting room window, but the world stood still as I watched in horror as the front door of the carrier popped open, the falcon took off and rapidly gained height out of the car park. By the time I had reached the door he had vanished! 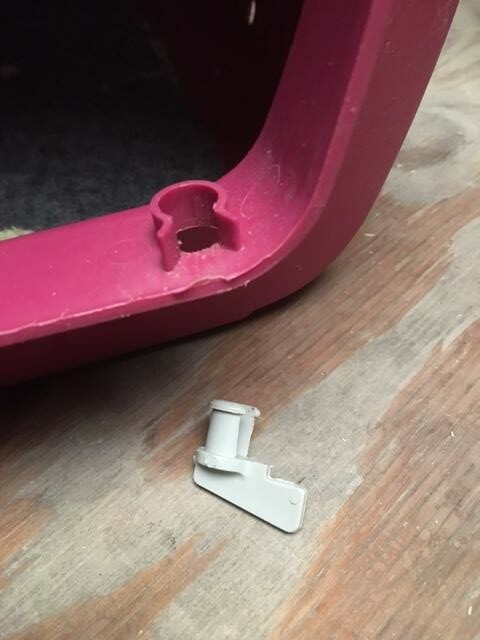 The owner was understandably mortified and it became apparent the lower plastic clip holding the door had failed. I grabbed a glove, lure and food and we headed off in the direction he had gone but there was no sign. Generally if a large raptor is in the vicinity the local crows and magpies will give the game away as they mob the ‘intruder’…….but there was nothing. 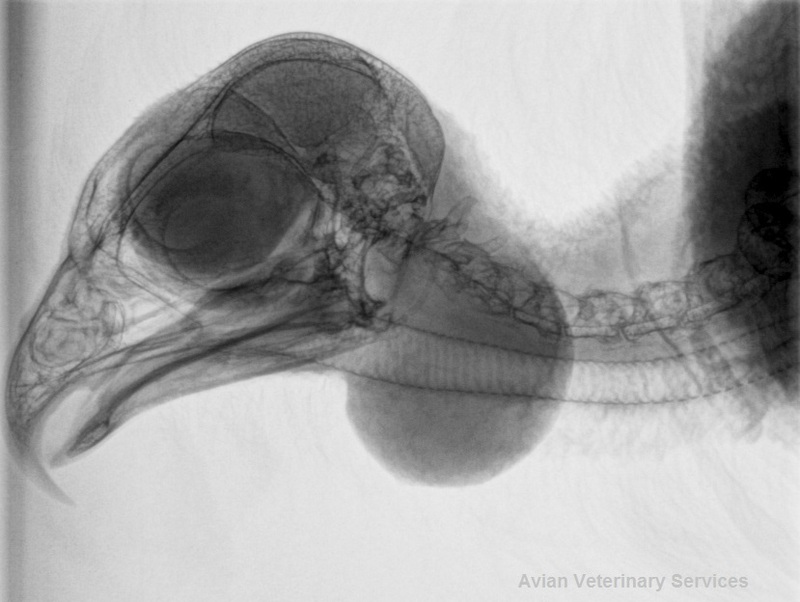 A compounding factor was that although the bird had been trained as a youngster and so did know what a ‘lure’ was, he had not been flown for 5-6 years and was at top weight therefore not even hungry. 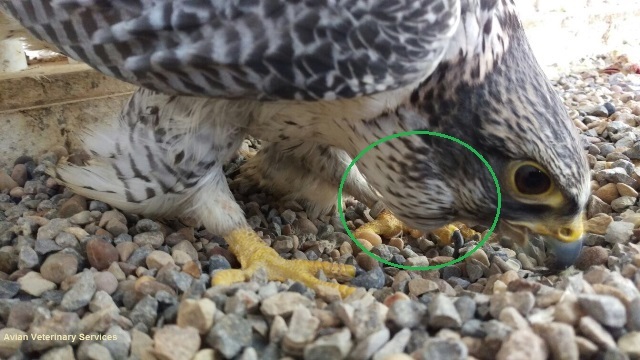 Coupled with the fact that Gyr falcons, which are the largest and most powerful falcon in the world, can travel 20 miles with ease, finding and getting him back was going to be a real challenge; without the usual back-up of telemetry this was a real needle in a haystack situation. All the businesses on Gadbrook Park were put on high alert and we had numerous calls of suspected sightings although despite arriving at first light before any activity on the park for the next few days he was nowhere to be found. As a previously kite-trained bird (where the birds food is suspended from a large delta kite hundreds of feet up in the air and the bird has a good work out getting to it) we even tried putting up the kite on neighbouring farms to see if that would bring him in, but to no avail. 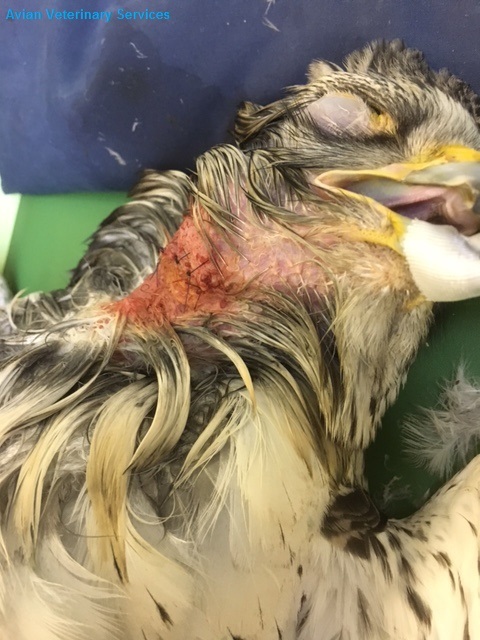 We were starting to lose hope when 6 days later we got a call from Barbara Royle at the Independent Bird Register, who we had informed of the loss, saying that a bird fitting his description had shown up in the Audlem area about 10 miles away! He was safely returned apparently none the worse for wear after his 6 day holiday all over Cheshire and finally, following a few days recuperation, he was presented for surgery. 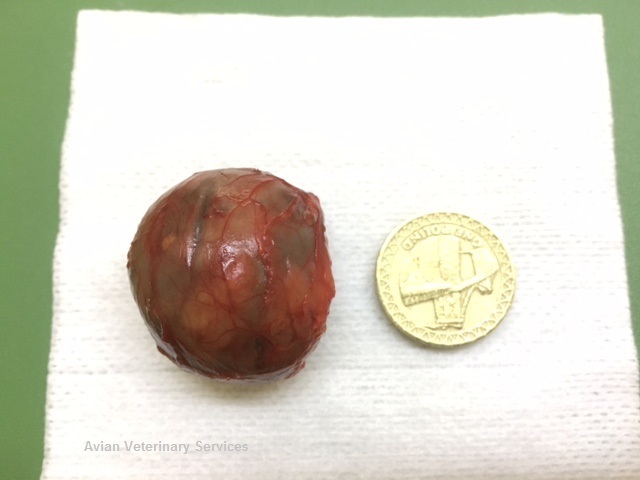 Despite being a tricky site to operate on, having to carefully dissect the mass away from some important blood vessels, nerves and the airway, it thankfully came away cleanly and intact and his recovery was uneventful. 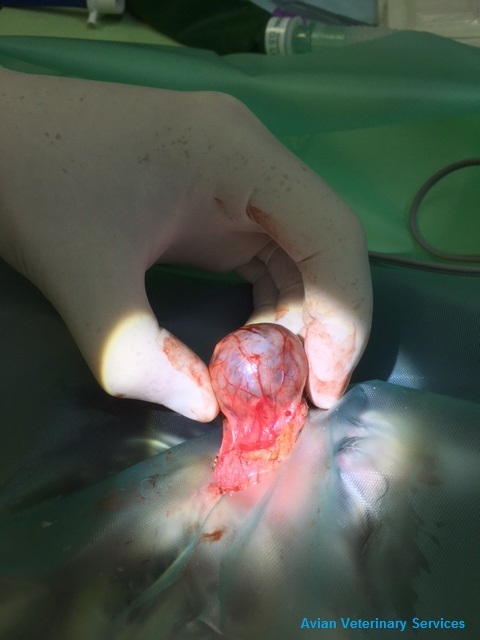 Happily the pathology results proved the mass to be benign and so unlikely to recur. After a potentially awful situation on so many levels, we were all ecstatic this story had such a happy ending!